Paco is ready for a swim and plans to dive off his piling! Plenty of room for personalization on this ornament! 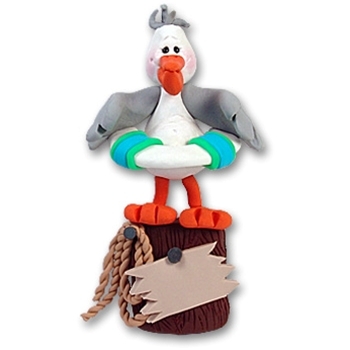 Paco is handmade from polymer clay and designed by Debi Allison. Comes complete with hook and satin ribbon for hanging.